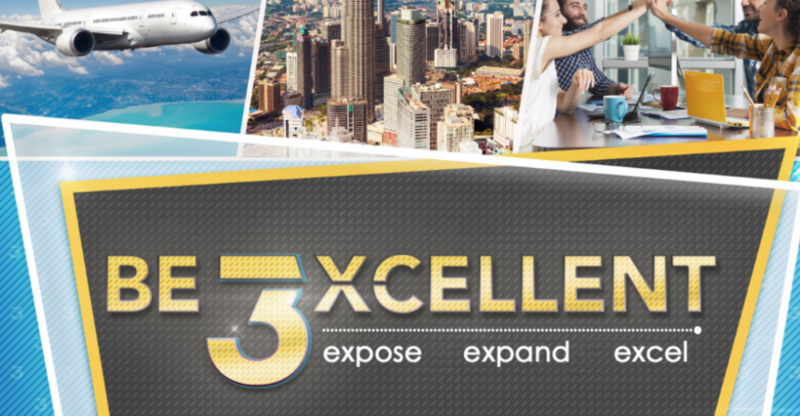 Win Up to 48,000 Excel Points with Gano Excel’s BE 3XCELLENT promotion this spring! Start winning Excel Points today to join us for Meet Me In Malaysia this November! The starting point for every Gano Excel business is exposing others to our great Ganoderma-enriched products, thereby introducing better health and wealth into the lives of more and more people. In order to do so, take advantage of our Executive Success Packages, which provide you with business tools and a small, moderate or larger amount of our most popular GanoCafé and GanoDaily products. Right now during our BE 3XCELLENT promotion, any time you personally enroll three Affiliates with any ESP and our Builder Kit, you win! We love see our Affiliates excel in their business and achieve better health and wealth through the power of Ganoderma lucidum. Let’s energize together and see what we can do. Here’s the goal: if your personal enrollees have not received Gold-level commissions this year, help them get there! When they receive Gold-level commissions for any two cycles during BE 3XCELLENT, you win! Growing your Gano Excel business really takes off when you reach beyond your personally enrolled Affiliates to 2nd, 3rd generations and beyond! Continue to build your organization by helping your team duplicate the groundwork you have set. During BE 3EXCELLENT, get rewarded for expanding! Help your 2nd generation personally enroll new Affiliates with an ESP and Builder Kit and win up to 13,000 Excel Points.